Looking for legal ways to watch the Seahawks online? Click now to learn about all of the great ways to catch a Seattle Seahawks live stream - without cable! Every channel you need to watch Seahawk action all season long, plus NFL SUNDAY TICKET. Great option for local channels and it lets you add-on features to customize your plan. Best DVR option on the list and the majority of the channels you need to watch football on Sundays. Data effective 9/5/18. Offers and availability may vary by location and are subject to change. Quarterback Russell Wilson is back with his offensive line to take down big names in the NFL. After a tough season in 2017, the Seahawks are looking to even the playing field and earn their position back at the top. You definitely don’t want to miss the Seahawks climb back to glory this season. Not sure how to watch Seattle’s finest? We got your back. We’ve picked out the best services for watching the Seahawks and gone over their pros and cons below. FOX will be the Seahawks’ nest with 10 games brightening up its typical lineup. CBS, ESPN, and NBC will each take two of the remaining games. If our graphics and charts haven’t helped you pick one service or the other, never fear—we’ve put together some recommendations that’ll give you more detail on what each service is all about. DIRECTV’s CHOICE™ package is a Seahawk fan’s front-row ticket to the entire season without having to deal with cold weather and long lines. Because it includes NFL SUNDAY TICKET your first year and has over 185 channels, it’s definitely the best choice for football fans. We read between the lines of DIRECTV’s fine print and got to the nitty-gritty details of this service. Starting with price, DIRECTV’s CHOICE™ package is $45 a month for the first year and includes an entire season of NFL SUNDAY TICKET. The first year alone makes the entire package cost-effective because NFL SUNDAY TICKET usually costs $293 a season. Just be warned—if you don’t cancel it ahead of time, you’ll be charged full price for NFL SUNDAY TICKET your second year. Your normal channel package also increases its price the second year, nearly doubling to $105 a month. And to be able to even get those advertised prices, you’ll have to sign up for autopay and paperless billing. This is why we read the fine print.  Don’t worry too much, though, when you’re weighing your options you’ll realize that DIRECTV’s prices aren’t much different from other satellite TV services, (looking at you, DISH). So, if you’re all about the long game, you’ll be happy with DIRECTV. Hulu with Live TV is great if you like running the ball. Moving past the metaphor, this streaming service really is awesome if you’re all about watching TV away from home—even more than just football. Check out Hulu Live’s 7-day trial and get some Seattle Seahawks games for free in the meantime. Streaming is all about the short game. No contract means you pay for and stay for as long as you see fit. And if there’s anything we love, it’s the kind of freedom no-contract services give you. Hulu Live has another perk—the entire on-demand library of the Hulu you know and (probably) love. So you get the live channels you need with no contract and a bonus of all the binge-worthy series you can get after the game’s over. Unfortunately, Hulu Live isn’t perfect. It doesn’t have an NFL exclusive option like NFL SUNDAY TICKET, but it does at least have an extensive list of local channel affiliates nationwide. With close to 600 local affiliates across the country , Hulu Live is a great choice for watching Seattle Seahawks football. 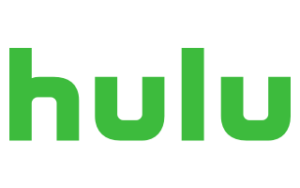 We do recommend you check those widespread local affiliates are carried in your market Hulu Live homepage before signing up. Hulu Live may be the streaming service you’re most likely to get local coverage with, but its availability isn’t perfect. Better safe than sorry. Want more from your package? Hulu Live also lets you tweak your package to your liking. Want more hours of DVR storage? It’s got an add-on that can let you upgrade to 200 hours. Don’t want to see commercials when watching on-demand content? It’s got that add-on too. Every single add-on we mentioned, as well as the other add-ons available through Hulu Live have an additional price attached to it from as low as $4 to as high as $15. So before you customize your Hulu Live account how you like it, make sure it doesn’t look like you’re paying a players salary in fees. YouTube TV is YouTube’s latest addition to the streaming service industry and comes with a DVR storage system that’ll have you saving the latest rerun of Friends at 4 a.m. just because you can. You can check it out yourself with YouTube TV’s free trial. It’s seven days long, so go nuts while you can with its DVR system. Just to be clear—YouTube TV isn’t YouTube Premium or YouTube Red. YouTube TV is a streaming service that comes with a selection of about 60 channels for $40 a month. If you’re the type who’s constantly buzzing from A to B and can’t ever seem to catch the game live, then this service was made for you. The unlimited DVR storage comes super in handy when you need to multiple hours-long games for later—you could even save the entire Seahawk season without flinching. And it gets better because YouTube TV’s DVR lets you save anything for up to nine months. YouTube TV still has its flaws, but the good news is that they’re limited. The main flaw is that the service is still growing its local channel selection, so YouTube TV has fewer local channel affiliates than Hulu Live. YouTube TV’s channel affiliate is close to 400, so you’re more likely to be outside their coverage area and miss a game than you are with Hulu Live. This won’t be a problem forever, though, and YouTube TV continues to grow. So we’d suggest checking on YouTube TV’s website to see if they’ve listed your area as unavailable or not. It’s the Seahawks’ turn to take center stage this season. Russell Wilson isn’t going to settle for anything less than greatness, and you shouldn’t either with your service provider. So, go with your gut and let us know on social media or in the comments below how it goes for you.